Pain, injury, and 'dis-ease' can all take it's toll on how actively you live life. Paying attention to these symptoms gives your body the best opportunity to heal sooner. Lack of vision or clarity, poor decision making, feeling 'foggy' in mind, and over-thinking are a few ways our mind can show it is struggling to maintain balance. We are emotional beings. That unique part of us that makes us who we are. Life challenges us with much. Feeling overwhelmed, disconnected, or 'something just feels off' are all reasons to seek support with Acupuncture. Our body, mind, and spirit have incredible ability if we look and see all that is possible. Please contact me if you would like to discuss if Acupuncture is a good fit for you. Putting you in control of your health. There are many different styles of Acupuncture. 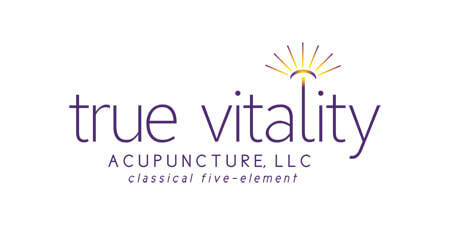 I was drawn to study Classical Five-Element Acupuncture (CF-EA), the lineage as taught by Professor J.R. Worsley. Early on in my studies, I was impressed at how intricately our bodies are made. When given the chance, how well they can heal themselves. As we continue to get further out of balance than the body can correct, is when help is needed. Acupuncture is a safe and effective system of medicine with few to no side effects, helping the body, mind, and spirit regain and maintain balance. Acupuncture has been practiced for thousands of years. This medicine is simple yet provides profound depth of healing. Our world is made up of energy, as are we. We are born with Qi (pronounced 'chee') energy. It flows throughout us in channels called meridians. Along these meridians are specialized points that allow us access to effect qi energy. The most direct access to qi energy is through using acupuncture needles at these points. These points allow us to bring more or less energy, depending on what is needed, to restore balance. CF-EA is a refined, gentle form of Acupuncture. Looking at life around us, we see nature. CF-EA is based on nature. The Five Elements are Wood, Fire, Earth, Metal and Water. As we see in nature, too much of one or not enough of another element will result in imbalance and chaos. These are what we see as natural disasters. We are also made up of all Five Elements. The body shows us when we are out of balance, resulting in 'dis-ease' and symptoms. Symptoms are the body's 'warning signs' telling us that something is not right and help is needed to regain balance and harmony. Merely treating the symptoms is a temporary, short term fix. In CF-EA we are looking to find the cause of the imbalance. By giving added support to the cause of the imbalance this will allow the body to heal, symptoms go away with balance restored. If you would like to begin Acupuncture treatment to address symptoms or just feel better, please contact me and we can get started.